Margaret Thatcher’s funeral this coming week will be the final act in a very public life. Known throughout England and much of the world as the ‘Iron Lady’ Thatcher’s death will be marked by a very public ceremony at St. Paul’s cathedral in London which will be hailed by devoted supporters and may be protested by bitter opponents. Women who are political leaders (even though there have been very few of them) seem to attract more emotions, both love and hate, than male politicians do. But both the memory and emotions will fade with time. 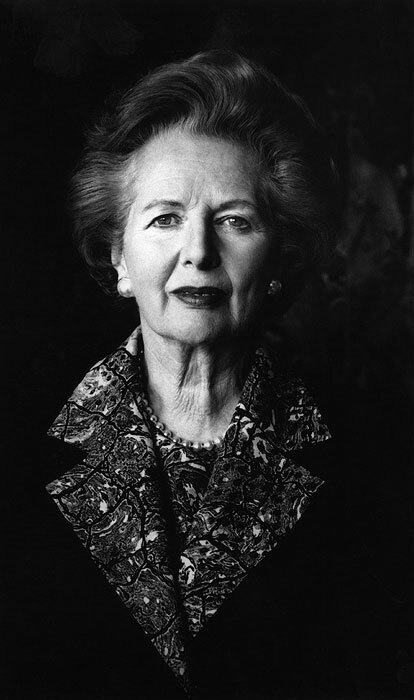 How many today spend much time thinking about the earlier Iron Lady who led Israel through some of its crucial years? Golda Meir inspired many emotions in her time and was celebrated in America by plays and movies, but interest has dwindled in recent years. Golda Meir lived a far more cosmopolitan life than Margaret Thatcher did perhaps that is what gave her such wide sympathies. She was born in Kiev in 1898, and remembered the fear of Russian pogroms that haunted her childhood. But she moved to the United States with her family when she was eight years old. She grew up in poverty and resisted her mother’s wish for her to quit high school and get married. Instead she went to college where she became an ardent Zionist. When she married, she and her husband moved to Palestine. They joined a kibbutz in 1921. There she found more poverty and hard work and eventually she moved the family to Tel Aviv and entered politics. From then on her life was dedicated to preserving the state of Israel. She became a member of the Israeli Parliament and served as Minister of Labor and later Foreign Minister. She became Prime Minister in 1969 and served until 1974. Israel was still fighting for its life. The murder of athletes at the 1972 Olympics occurred during that time and in 1973 the Yom Kippur War started. She was blamed for not being prepared for war and for hesitating too long before doing anything. To a woman who had always sought peace, it was difficult to accept the fact that Israel would continue to be a battleground. She hated having to send troops to war and said “A leader who doesn’t hesitate before he sends his nation into battle is not fit to be a leader”. That was not a popular stance at the time, and was in sharp contrast to the quick decision by Margaret Thatcher to dispatch armed forces quickly to the brief war in the Falklands. Two Iron Ladies—two different countries and two different times. 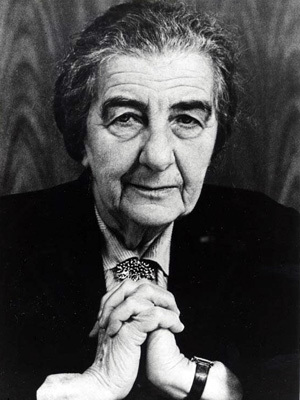 Golda Meir is now remembered as a hero of Israel and is almost universally admired. Will Margaret Thatcher’s final fate be the same or not?